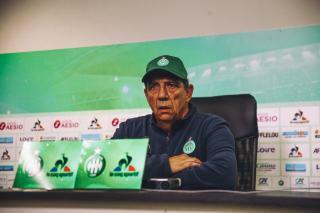 Jean-Louis Gasset: "We didn't see the real Saint-Etienne"
Home > News> Jean-Louis Gasset: "We didn't see the real Saint-Etienne"
The Stéphanois technician admitted his shame to have suffered such a cruel defeat but promised to learn from this in order to train the team that will finish the season. Is this a second crushing blow after the defeat in the derby? We didn’t recuperate. I had believed that we needed to bring in some fresh blood because, after the matches against Marseille and Lyon, certain players were overextended. This evening, we didn’t see the real Saint-Etienne. We boycotted both cups. To what is that due? It’s due to many things. Weak technique, some players’ lack of motivation, maybe, that’s possible. But it’s especially due to the fact that certain players are indispensable. 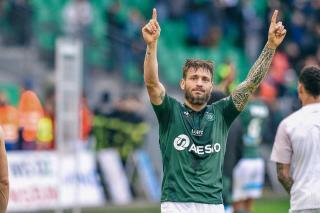 As soon as I let four or five players rest, because it’s difficult to play multiple matches in a row in this period, Saint-Etienne no longer has the same appearance and is even catastrophic. The five first minutes of the second half time were unbelievable. It’s shameful. Were the individual errors too numerous to hope to win the match? I don’t want to speak about everyone’s individual performance. Performance must be judged as a whole. Saint-Etienne has 12 or 13 professional players. With this team, we can obtain good results. Certain players are not happy to not be playing, but when they play, I see nothing. That’s twice now. That’s two times too many. Only the championship remains. The good players will play. Is the defeat in the derby still on everyone’s mind? With six players who hadn’t played Sunday, I was hoping to get over the trauma. 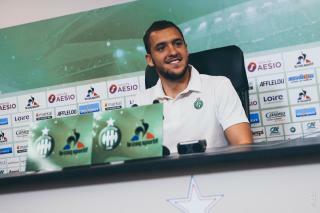 Gabriel (Silva) needed rest, Loïc Perrin also, with three matches in one week. I was hoping that those who had the chance to play would show me that I was wrong not to have put them on the Team. They proved the opposite to me. Yes, I’m angry. I don’t like seeing a performance like this one. No, I don’t like it at all. I’m angry, I’m ashamed. I saw a banner at the beginning of the match. I would have also liked to go to the Stade de France, bring the Green Nation there. Unfortunately, we don’t have the level to do so. When you present a team like that, you don’t have the level. We’re going to try to swing back into action in order to finish the championship on a high note. That’s all that we have left this season. And I know with which players we’ll finish it. In the last three days, the two matches you just played were difficult. That’s Football. I told you: you win a match at the last minute, then you lose another in the same way three days later. But, after two matches like the one last week, we couldn’t play the same players. I was obliged to make two changes at half time in order to reverse the course of the match. Unfortunately, in five minutes, we let in three goals. We ensured our own defeat. We know who we can count on. I just want to say a short word to our fans. I’m disappointed for them. The people present this evening did not deserve to see this train wreck. I apologize to them.